Banks and lenders that aren’t familiar with SCRA credit card regulations can find themselves in violation of this federal law. Servicemembers on active military status are entitled to a number of protections under the Servicemembers Civil Relief Act, and one important one is a 6 percent interest rate on credit card debt and other loans. A number of credit card companies have gotten into hot water with regulators for failure to comply with the Servicemembers Civil Relief Act. The Justice Department accused Capital One of a number of violations between 2006 and 2011, according to InsideARM.com. An investigation showed Capital One denied active military status servicemembers the 6 percent interest rate they are entitled to on credit cards and car loans, even after they made the appropriate requests. The investigation further found Capital One repossessed servicemembers’ cars and foreclosed on their homes while they were on active military status. They also failed to obtain court orders to take these actions. Finally, the company collected debts on mortgages, credit cards and vehicles without filing affidavits of military service. Capital One agreed to pay almost $7 million for violating SCRA credit card regulations and other components of the law. It also had to provide $5 million to compensate those who did not receive SCRA benefits on their loans. This helps to demonstrate how seriously regulators and federal prosecutors take SCRA credit card regulations, and the law as a whole. Anyone found guilty of these violations could even go to jail, in addition to paying financial penalties. Lenders may pursue delinquent loans held by active military status personnel, but a number of steps must be followed. The most important is that the creditor obtain an affidavit of military service to take to court. The court can then make a ruling on how the creditor should proceed. It is also important to understand the credit card protections afforded to those with active military status. Servicemembers are entitled to various protections with regards to credit cards and many other forms of debt, according to the Consumer Finance Protection Bureau. Interest rate cap – Lenders cannot charge active military status servicemembers more than 6 percent interest on any amount owed before entering active-duty service. Interest includes not just periodic interest, but also financial charges or fees related to the debt. To get this lower rate, servicemembers must notify the company of their active military status in writing. They must also include a copy of their orders to deploy. Retroactive interest rate cap – Lenders may apply the interest rate cap retroactively. Servicemembers have up to 180 days after release from active duty to tell the lender about their active military status. They can then request lenders apply the lower rate for the time they were on active duty. 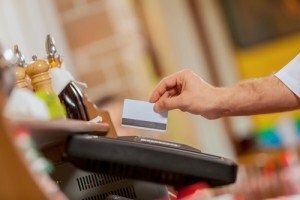 Credit revocation protections – The SCRA bars credit card companies from revoking or reducing credit just because the customer claimed their right to a 6 percent interest rate. This prevents companies from dropping military customers simply because they represent a slimmer profit margin. Credit rating protections – Similarly, the act prohibits credit card companies from making an adverse credit report because a servicemember asks for a 6 percent interest rate. New purchases – Some credit card companies choose to voluntarily grant servicemembers a reduced interest rate on purchases made while on active military status. However, the act does not require them to do so. Any payment servicemembers make on credit card debt above the minimum due must go toward the new balance first. This helps to preserve the lowest interest rate possible on the servicemember’s debt as a whole. Protecting active military status personnel is a top priority for the Consumer Finance Protection Bureau and the Department of Justice. Capital One is not the only lender that has faced consequences for failure to comply with the SCRA. According to InsideARM.com, the CFPB reached a landmark settlement against five leading mortgage servicers and lenders in the U.S. These lenders had to aid borrowers, grant loan modifications and pay homeowners compensation for illegally foreclosing on their homes. Pursuing loans against servicemembers is a technical process. Those who fail to obtain an affidavit of military service may find themselves in trouble. The Servicemembers Civil Relief Act Centralized Verification Service can make this process easy.